The Philadelphia Experiment Poster This is a nice color glossy paper poster of the movie The Philadelphia Experiment starring Michael Pare and Nancy Allen. It is a Douglas Curtis Production. At the top of the poster it reads, The experiment that never should have happened 41 years ago is still going on. Has pictures of the stars. Dated 1984. In excellent condition. Measures 27"" wide by 41"" tall. 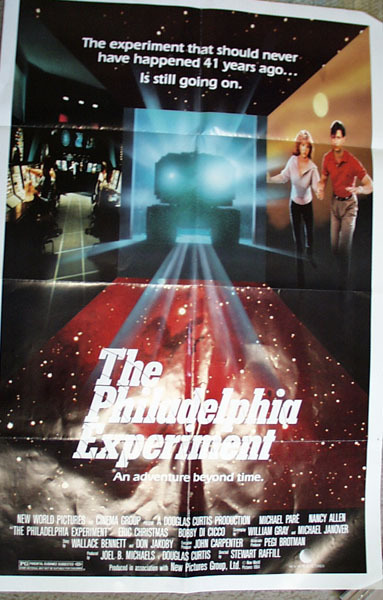 Items Similar To "The Philadelphia Experiment Poster"